On Jan. 19, State Administration for Industry & Commerce issued Notice of Launching the Pro-agriculture “Red Shield Action” in 2016. ..
On Jan. 21, the 7th plenary meeting of the Leading Group of State Administration for Industry & Commerce on Fight against IPR Infringement and Counterfeiting was held, where the key work about IPR infringement and counterfeiting was deployed at different levels of industrial and commercial agencies and market regulators. 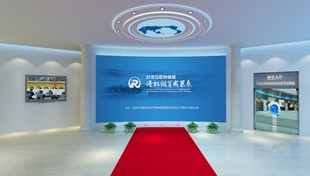 In Jan., China Council for the Promotion of International Trade (CCPIT) held a press conference to introduce its implementation concerning the national intellectual property strategy and its involvement in the national “campaign against IPR infringement and counterfeiting” and the “Qingfeng” action in 2015. 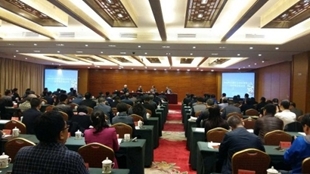 On Feb. 2, the national work meeting on law enforcement and anti-counterfeiting in the quality inspection sector in 2016 was held in Beijing. 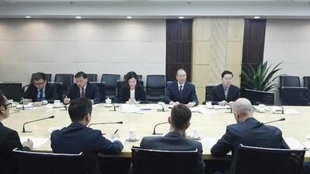 In Feb., State Intellectual Property Office publicized Notice on Deepening the Collaborative Mechanism of Patent Law Enforcement and Protection in E-commerce. On Feb. 5, the General Office of Ministry of Agriculture issued Notice about Key Work on Quality and Safety Supervision of Agricultural Products in 2016. On Feb. 29, eight government agencies including Ministry of Agriculture, jointly held the national work teleconference on special campaign against counterfeiting of agricultural materials in 2016 to mobilize local efforts of different regions to promote the action of anti-counterfeiting in agricultural materials in an in-depth manner. On Mar. 17, the national work teleconference on fight against IPR infringement and counterfeiting was held in Beijing. 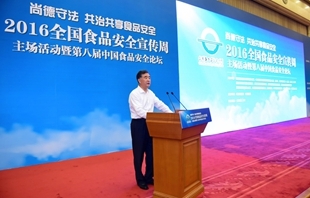 Wang Yang, Vice Premier of the State Council attended and addressed at the meeting. On Mar. 11, the 5th plenary of inter-ministerial joint work conference on use of copyrighted software was held in Beijing. On Mar. 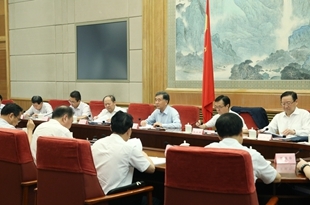 21, the Supreme People’s Court released Interpretation (II) of Some Issues Concerning the Application of Law for the Trial of Patent Infringement Disputes. 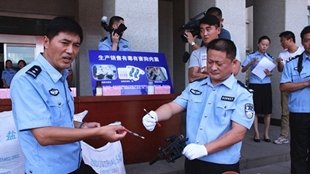 In Mar., Ministry of Public Security issued a notice to arrange work on advancement of the “Lijian (Sharp Sword) Action” against food and drug counterfeiting in 2016. On Apr. 13, Chai Haitao, Deputy Head of the Office of the National Leading Group on Fight against IPR Infringement and Counterfeiting met IPR officials from embassies of UK, Canada, Denmark, France, Germany, Italy, Japan, South Korea, Switzerland and US in China at Ministry of Commerce, where China’s fight work on IPR infringement and counterfeiting in 2015 and the focus of such work in 2016 were introduced. On Apr. 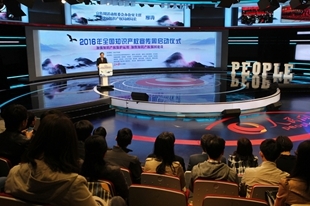 20, the national event “IPR Publicity Week” in 2016 jointly hosted by 23 governmental agencies including State Intellectual Property Office and Propaganda Department of the CPC Central Committee was inaugurated on people.cn, whose theme was “Enhance IPR Protection and Utilization, Accelerate IPR-empowered National Development”. On Apr. 15, the General Office of the State Council printed and released Opinions on Deepening the Implementation of “Internet Plus Circulation” Action Plan. On Apr. 27, General Administration of Quality Supervision, Inspection and Quarantine publicized Notice about Issuance of Work Plan about Quality Inspection “Lijian (Sharp Sword)” Action in 2016 to continue the national efforts in this regard. On May 4, the General Office of the State Council issued Key Work of National Crackdown on IPR Infringement and Production and Sales of Counterfeit Goods in 2016 to identify 27 work items in 7 aspects in 2016. On May 4, State Administration for Industry & Commerce issued Plan of Special Campaign on Regulation of Online Market in 2016. 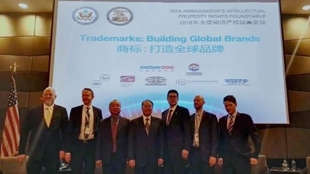 On May 6, the 2016 U.S. Ambassador’s IPR Roundtable was held in Beijing, themed on “Trademark: Create Global Brands”. On May 11, the General Office of the State Council issued Key Work Arrangement about Food Safety in 2016. On May 15, the 7th national publicity day marking crackdown and prevention of economic crimes by public security authorities in 2016 kicked off, whose theme was “Risk Prevention, Development Facilitation”. In May, State Post Bureau released a notice to forward the key work about national crackdown on IPR infringement and production and sales of counterfeit goods in 2016 issued by the General Office of the State Council and made arrangement over the work of post industry in this regard. On June 12, the State Council issued Guidance on Establishing and Improving the Joint System of Incentive for Credibility and Punishment for Credibility Loss to Promote Social Integrity. On June 28, Cyberspace Administration of China released Provisions on the Administration of Mobile Internet Application Information Service. On June 14, the national main event of publicity week for food safety in 2016 & the 8th China Forum on Food Safety were held in Beijing. Wang Yang, Vice Premier and Deputy Head of Food Safety Commission of the State Council attended and addressed at the meeting. The theme of food safety publicity week in 2016 was “Virtue and Law-abiding, Co-Governance and Sharing of Food Safety”. 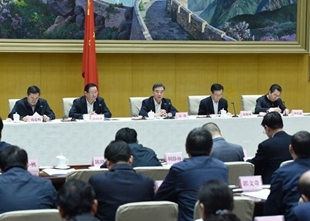 On July 25, Vice Premier of the State Council Wang Yang presided over the 10th plenary meeting of national leading group on fight against IPR infringement and counterfeiting in Beijing. 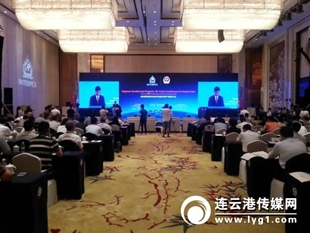 On July 6, INTERPOL ’s Intellectual Property Crime Conference in Central Asia was inaugurated in the city of Lianyungang, whose theme was “IPR Protection-China & Central Asia”. On July 6, the 2nd national publicity day of online integrity hosted by Cyberspace Administration of China kicked off in Beijing. 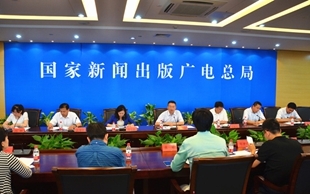 On July 8, the General Office of the State Council issued the Program for the Division of Key Tasks of Several Opinions of the State Council on Building a Powerful Intellectual Property Nation under New Conditions was issued. On July 13, Bi Jingquan, Head of China Food and Drug Administration signed the No. 27 Degree on “Methods of Investigation and Handling of Illegal Acts Related to Online Food Security”. 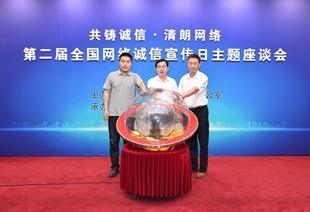 On July 12, National Copyright Administration worked with Cyberspace Administration of China, Ministry of Industry and Information Technology and Ministry of Public Security to hold a press conference in Beijing for the announcement of official launching of the special campaign “Jianwang (Sword Network) 2016”. On Aug. 8, the General Office of the State Council approved the establishment of the inter-ministerial joint conference system for the protection of consumer rights led by State Administration for Industry & Commerce. In Aug., Ministry of Culture arranged the work on investigation and handling of the 26th batch of illegal and rule-breaking online cultural activities. On Aug. 22, the online exhibition about fight against IPR infringement and counterfeiting in the Internet field hosted by the Office of the National Leading Group on Fight against IPR Infringement and Counterfeiting was officially rolled out online. On Sept. 6, State Forestry Administration issued Implementation Plan of Accelerating IP-empowered National Forestry Development. In Sept., a total of 42 organizations including governmental agencies like General Administration of Quality Supervision, Inspection and Quarantine, Propaganda Department of CPC Central Committee, National Development and Reform Commission and Ministry of Education, and industrial associations including All China Federation of Industry and Commerce and China Council for the Promotion of International Trade worked together to arrange the work related to the national event “Month of Quality” in 2016. 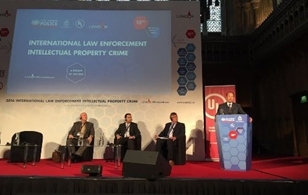 On Sept. 19-20, INTERPOL’s 10th International Law Enforcement IP Crime Conference was held in London, whose theme was “A Decade of Success”. On Oct. 19, State Administration for Industry & Commerce issued Opinions about Enhancing Protection of Online Consumers’ Rights and Interests. On Oct. 21, Consulate-general of China in Los Angeles organized China–US intellectual property exchanges. On Nov. 4, General Administration of Quality Supervision, Inspection and Quarantine printed and released Notice of Launching Concentrated Campaign of Law Enforcement and Anti-counterfeiting over Consumer Goods in E-commerce on Singles’ Day. 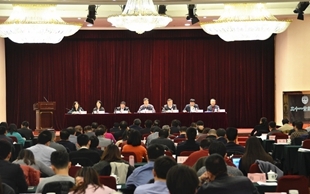 On Nov. 10, National Development and Research Commission, People’s Bank of China, Cyberspace Administration of China, Ministry of Public Security, Ministry of Commerce, State Administration for Industry & Commerce, General Administration of Quality Supervision, Inspection and Quarantine and China Consumers Association jointly signed and released Action Plan of Taking Joint Disciplinary Actions against Dishonest Persons Engaged in Abusive Use of Credit in E-commerce and Sharing Economy. On Nov. 15, the commemoration of 125th anniversary for the establishment of Madrid trademark system, jointly hosted by World Intellectual Property Organization and State Administration for Industry & Commerce, was held in Qingdao, Shandong Province. On Nov. 30, State Intellectual Property Office released Opinions about Rigid Patent Protection. On Dec. 1, the national conference of directors of the leading group on fight against IPR infringement and counterfeiting at different levels was held in Fuzhou, Fujian Province, where the work of crackdown on IPR infringement and counterfeiting nationwide in 2016 was notified. 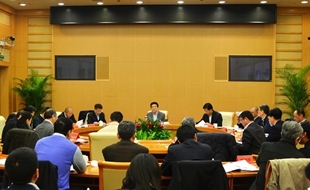 On Dec. 22, State Intellectual Property Office, Cyberspace Administration of China, Ministry of Industry and Information Technology and Ministry of Public Security jointly held the wrap-up meeting on Special Campaign “Jianwang (Sharp Sword) 2016” in Beijing to notify 21 typical cases of online infringement and piracy. On Dec. 9, the General Office of the State Council replied in writing to approve the establishment of inter-ministerial joint conference system for online market supervision led by State Administration for Industry & Commerce.